Recently named one of the coolest neighbourhoods in the world by Vogue magazine, our new community at Queen and Spadina puts you in the heart of this hip, vibrant locale. 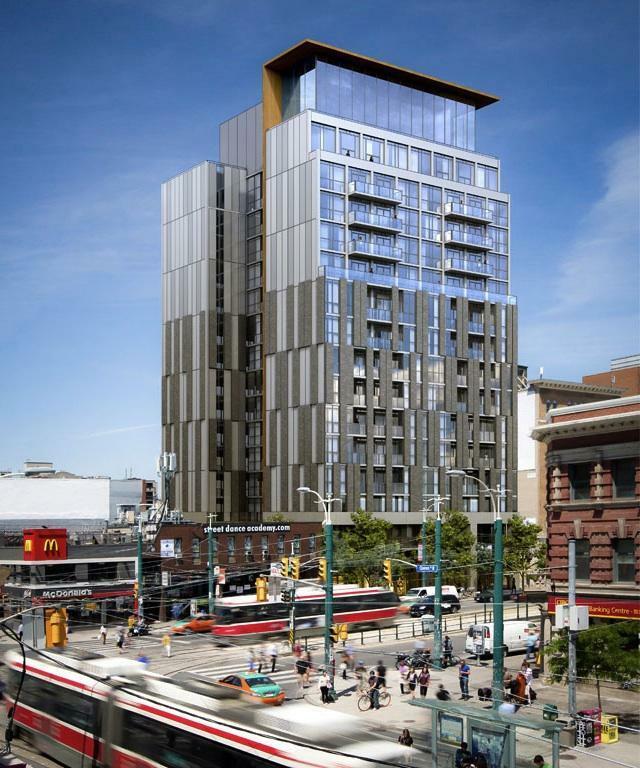 170 Spadina Condos is a new pre-construction condos project located at 170 Spadina Avenue, In Toronto, north of Queen Street West. Developed By Plaza. The Building will have 15 storeys with 162 units. 170 Spadina Condos will be steps to subway, street car, close to major banks, Chinatown just at the door step. over hundreds retail shop, supermarket and restaurants. close to university of Toronto and Ryerson University. 170 Spadina Condos has a perfect Walk Score of 100 out of 100. The transit score also perfect 100 out of 100. This location is in the Waterfront Communities-The Island neighbourhood in Toronto. Nearby parks include Carr Street Parkette, Grange Park Toronto and Grange Park.